Installing or upgrading security to any home or business property can pay huge dividends in the long term. There might be no worse feeling than arriving in response to a call from local law enforcement or simply to work one morning only to discover that one’s business has been robbed. Even worse is having a home burglarized or otherwise entered unlawfully. Such events can burst the happy bubble of imagined security, leaving homeowners, their families and their businesses anxious and unsure as to their safety. There are a number of ready solutions to the problem of weak security and vulnerability, solutions that can serve to alleviate anxiety and restore the feeling of safety and security to a home or business. Security solutions are becoming ever-more affordable, and most systems or solutions are easily within the financial means of most business and home owners. One such simple and affordable solution is the installation and monitoring of security cameras, and for customers shopping in and around Deerfield Beach, some excellent deals are to be had. The first step towards securing a home or business is to assess exactly what an owner wishes to achieve, and what the budget is for their solutions. While it may be all well and good to spend thousands of dollars on a state-of-the-art home or business security system, jack-booted guards, steroid-enhanced guard dogs and a moat full of vicious creatures, the expense and redundancy of such purchases are just plain silly. Most security flaws can be addressed with simple and affordable solutions in terms of technology, deployment and monitoring, and smart shoppers know to explore all of their options and to educate themselves as to the various products and services on the market, and how they can best meet their specific needs. After determining a property’s specific security needs, many shoppers turn to the internet to educate themselves as to the technology involved, products available and the prices at which they sell. Many searches will overlap with online retailers, and here is where some of the best value is to be found, in terms of being able to contact and discuss security needs at length with trained and experienced professionals. By being able to ask questions and garner valuable ideas and opinions, smart shoppers can acquire a wealth of knowledge about security systems and their various pros and cons before ever spending money on such an important purchase. Similarly, local retailers are another excellent source of information, with most being owned and staffed by experienced security professionals who are all too happy to help assess a home or business’s security needs, and to offer products, services and affordable solutions at great values. Shoppers in the Deerfield Beach area would be wise to pop in, visit and discuss with local retailers their security needs and to have their security questions answered by experienced professionals. 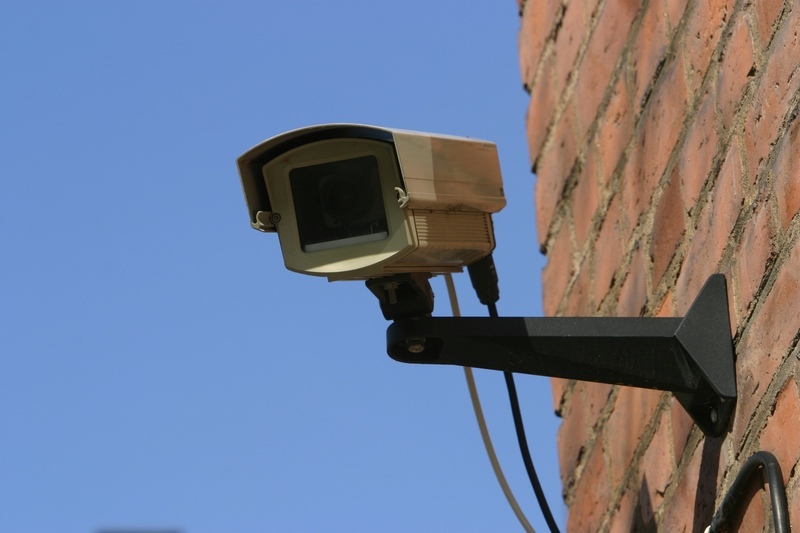 One of the best deterrents to property crime is the installation of closed circuit video surveillance cameras. Surveillance cameras cover important areas of a property, inside or outdoors, and can provide points of view unavailable to a person standing or sitting at ground level. Careful surveillance camera placement will open windows in to the behavior of customers, visitors and unlawful intruders, providing business owners with notice of crime and criminality, as well as images and videos of perpetrators which aid police and other law enforcement a great deal in apprehending wanted criminals. Security camera installations, both inside of a home or business or out of doors, should take advantage of high vantage points. By installing a surveillance camera higher up than an individual typically sits or stands, the camera is afforded a view denied to most individual working in, living in or visiting a home or business. Combined with carefully placed mirrors, surveillance cameras can allow monitors to view areas of the home or business that are blocked by normal line of sight, or to view many distinct areas of a property, all from a centralized monitor or bank of monitors. Many intruders never look upwards when they are going about their nefarious deeds, keeping their anxious heads on a swivel at eye-level, and might just conduct the whole of their criminality in sight of a recording device. Being able to see crimes as they are happening, or having an early warning of an intruder making an unlawful entry to a home or business is an invaluable tool for security conscious consumers, and can save property and lives for very little cost. High vantage points can see over, behind, around or in front of objects that normally block line of sight, and deny blind spots to criminals. Another security camera installation tip is to use overlapping camera arcs and lines of sight to eliminate any blind spots. It is of no use to set up a single surveillance camera and monitor its live feed if the camera fails to cover a crucial approach or entrance to a home or business, or leaves paths of egress uncovered by the surveillance equipment. Using multiple cameras to cover areas from different angles can allow for total surveillance of an area, and can serve to deter many criminals seeking to do harm once they realize that the owner is serious about security. The cost of adding a second camera is negligible, and most monitoring systems allow for multiple camera feeds to appear on a single monitor screen simultaneously. More cameras also allows for more areas to be surveilled constantly, heightening security and making for fewer weaknesses and blind spots in the overall security of the home, business or property. Hiding cameras from sight can have its advantages as well, and many security-conscious property owners may consider concealing their surveillance and recording systems in plain sight. Technological innovations and improvements have allowed for the micro-manufacture and deployment of cameras and electrical monitoring systems, and concealing a security camera in any environment is easy and affordable. A concealed camera in the workplace can serve a number of functions. First, it allows for owners to monitor their business for theft, vandalism or any number of property crimes. Secondly, it allows business owners to monitor their own staff and stock without having employees actively feel as if their every move was being watched, an uncomfortable feeling at best. Having employees surveilled in plain sight is simply bad for workplace morale, and does little to build professional relationships or to instill trust between employer and employee. A long-term, trusted employee is the best employee, and preserving the rights and dignity of valued staff contributors is essential to operating and expanding any business. In the home, the advent of security cameras hidden in plain sight has allowed many parents to breathe easier, knowing that they can monitor the safety of their home and family members remotely, and capture images and video of any wrong-doing that may occur. For parents with young children, leaving their precious offspring with a new babysitter can be a very anxiety-inducing event, and many couples suspect that their babysitters may be engaging in inappropriate behaviors while on the job. By discreetly monitoring their every move inside and outside of the home, interacting with children and beloved family members, pets and property, a hidden security camera in the right location can deliver a treasure trove of information to security savvy consumers. While it should go without saying that every individual enjoys some inalienable rights to privacy and preservation of dignity, many unscrupulous persons employ security camera technology and installations for less than legal purposes. Ill-intended consumers should be aware that it is always illegal to video any person in such a way as to deprive them of their dignity. Every year, more and more individuals are uncovered and charged with crimes after someone discovers a hidden video camera in such private and personal areas as restrooms, changing rooms, hotel rooms, even in the private homes of the victims. Young women are particularly likely to be victimized, and any person suspected of illegally recording or watching a person in such a way as to deprive them of their dignity and reasonable right to privacy can and should be charged with a crime and prosecuted to the fullest extent of the law. Security camera installation is a fascinating topic in and of itself, but when paired with other awesome security equipment, systems and monitoring services, many consumers rest easy. 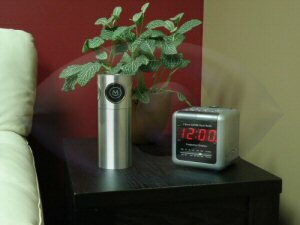 Knowing that a home or business is being monitored round the clock, that potentially-crucial data is being recorded in case it is needed to identify a perpetrator or to document events can be a very calming and relaxing addition for busy, anxious or just plain security-conscious families and individuals. Investing in security cameras has never been more affordable, and installation is often as easy as following a few simple instructions. A wide range of products and services exist for all budgets, and can range from something as simple as a single, exposed camera providing a live feed to a monitoring device, up to and beyond multiple hidden, wireless cameras, recording and broadcasting multiple perspectives to multiple devices, web-based storage and servers, even to a users smart phone. The revolution in easy and affordable security systems and monitoring makes installing security cameras today a great value, and one that may pay off considerably in the long run. Contact us today for a free quote on your security camera installation and services.